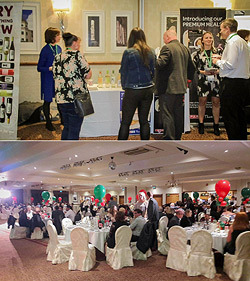 SPAR UK celebrated their 60th anniversary this month and invited every RDC and suppliers down to Manchester to help celebrate the significant occasion. SPAR’s multi award-winning footfall driving campaign Shop & Win has engaged more shoppers than ever in 2017, thanks to the launch of new, innovative initiatives including a virtual scratch card game and a Facebook ‘Selfie’ competition. 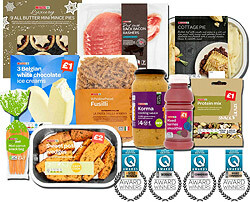 SPAR has had a phenomenal success at this year’s Local Shop Quality Food Awards with twenty category wins including three gold awards! Yet again SPAR had also won the Wholesaler of the Year Award! Dundee Rugby Club recently benefited from a generous £1000 donation from SPAR stores in Dundee area. Owned and operated by CJ Lang and Son Limited, the SPAR stores donated the money from the funds raised through the sale of single use carrier bags. 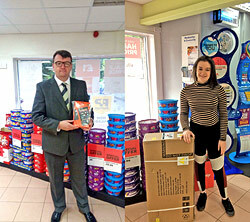 Due to a new store opening in the area, SPAR Kirkmuirhill recently ran a 2 week prize draw giving customers the chance to one of two great prizes to entice customers into the store. SPAR Scotland Tradeshow 2017 took place on Thursday 21st September 2017 at the Macdonald Inchyra Hotel & SPA.